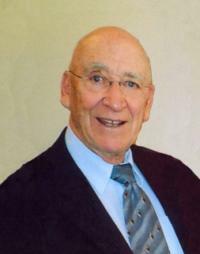 Garth Doepel, beloved husband of Margaret Doepel of St. Albert, passed away on Saturday, April 11, 2015 at the age of 82 years. Besides his loving wife Margaret, Garths memory will be greatly cherished by his two children: Aaron Doepel (Delores) of Fort Vermilion, Alberta; and Colleen Kopecky (Russ) of Spruce Grove, Alberta. He is also survived by six grandchildren: Axel (Karen), Malcolm (Jessie), Tommy, Shiloh, Martina, and Kessia and one great granddaughter, Tess. Garth was predeceased by his parents: Harry and Margaret Doepel; and his brother, Edgar Doepel. Garth grew up in the beautiful Blindman Valley near Bentley, Alberta. He married, and moved north to spend years with the Department of Transport. He settled in St. Alberta to work for AGT/Telus and raise a family. Garth enjoyed Amateur Radio, skiing, camping, motorcycling and traveling to Arizona on retirement. A Memorial Service will be held at 10:00 a.m., on Saturday, April 11, 2015 at Foster and McGarvey St. Albert Funeral Home, 9 Muir Drive, St. Albert, with Venerable Lee Bezanson officiating. If friends desire, memorial contributions may be made to St. Matthew’s Anglican Church, 125 Larose Drive, St. Albert, Alberta T8N 2X7 or another denomination/charity of your choice.